Beach camping is about falling asleep to the rhythm of the ocean under a star-studded sky. 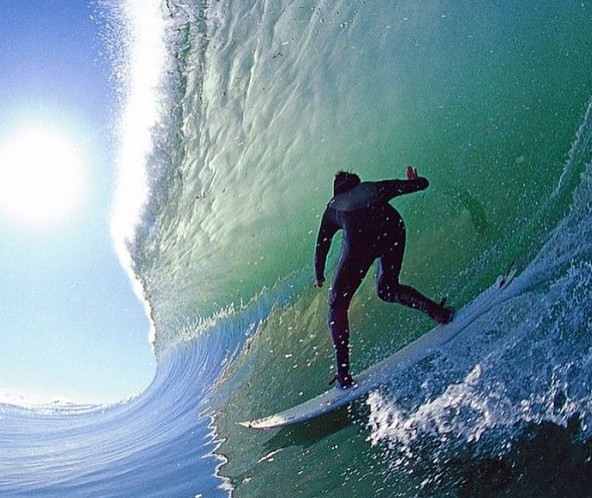 It’s about waking up with an early morning plunge or surf. It’s about catching your dinner on the end of a hook and snoozing in the shade of a tree to the gentle lapping of waves. It’s my kind of camping! The campsites below are either right on the beach or within walking or kayaking distance of the beach by a lake or river. They are all camper van friendly. I’m starting the list in Sydney and heading south, covering 14 beautiful places to stop and some of the best camping NSW has on its coast. So slip on your thongs (that’s what we call flip-flops) and enjoy the high life on a low budget. 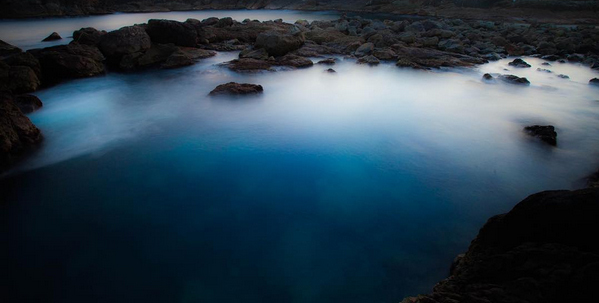 Just south of Sydney, the Royal National Park covers vast expanses of coastline, forests, and swimming holes. The Bonnie Vale campground is on the river and has flush toilets, hot showers and drinking water. 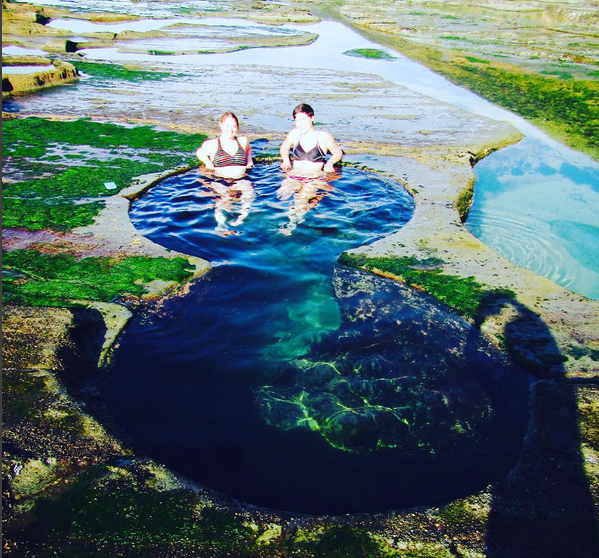 More information: Best camping in Sydney. This beach will always have a special place in my heart because I spent most of my childhood weekends here. The cove is sheltered from the wind and gently sloping so that the waves roll in nice and evenly. 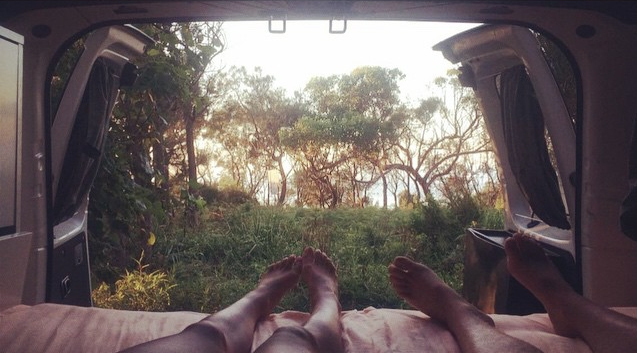 Now it has a campsite with everything you need (showers, camp kitchen, fires, BBQs, picnic tables, outdoor yoga) up on the headland, within walking distance of Killalea Beach (known by locals as the Farm Beach) and Mystics Beach. The beaches are a favorite spot for swimmers and surfers. Kiama is a vibrant coastal town brimming with restaurants, boutiques, and surf shops with great surf beaches and swimming beaches. It also has a 25km coastal walk. There are two good privately-run beachfront campsites, both with a full range of facilities. Kendalls on the Beach Rates: $23 – $55. BIG4 Easts Holiday Park Rates: From $29. The sand here is white and so fine it squeaks as you walk. The water is crystal clear but appears a vibrant turquoise. 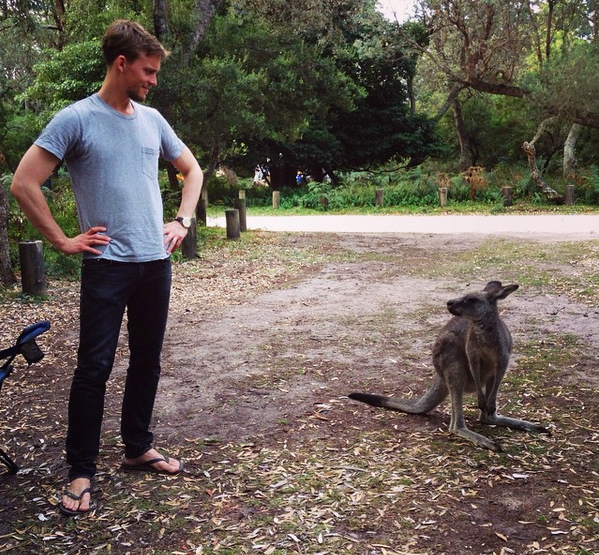 You’ll be greeted by friendly kangaroos, possums, and colorful parrots. At Greenpatch Campsite there are flush toilets, hot showers and gas BBQs. 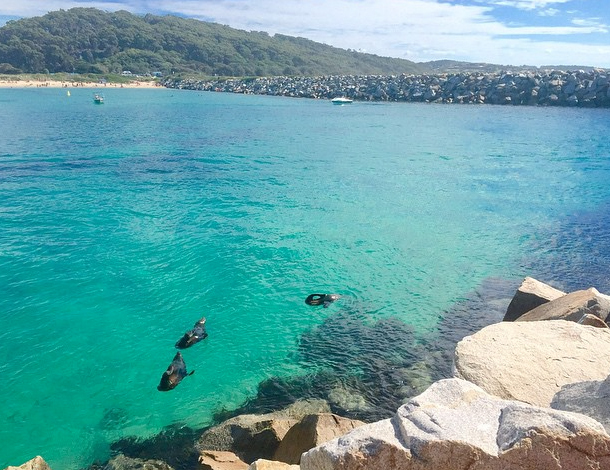 The crystal clear waters of Lake Conjola flow into the ocean. Wildlife here is abundant. And you can while away many hours lazing on the beach, exploring the lake on a kayak, swimming, surfing and fishing. Lake Conjola Entrance Caravan Park is on the lake nestled in natural bush with the neighbouring kangaroos. It has a jetty and full facilities. Rates: $40 for a powered site. BIG4 Conjola Lakeside Van Park is also on the lake with a jetty and boat ramp with full facilites. Rates: $40 lake side. Others $35. Pit toilets are about the only facilities at Termeil Point campground in Meroo National Park, but the price can’t be beaten. It’s free! The campsite is small and secluded in natural bush on a headland close to the lake, inlet, beaches and lots of walking tracks. 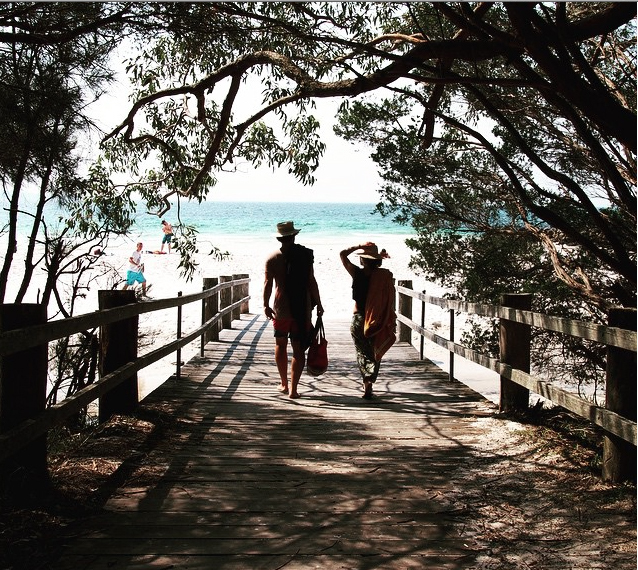 There are three campsites within the Murramarang National Park – Pretty Beach, Pebbly Beach and Depot Point. All are by the beach, or a short stroll to it through the coastal forest. They have flush toilets, showers, gas BBQS, camp rings, two have laundries, and Depot Point even has pizza ovens. RATES: $20 – $28. 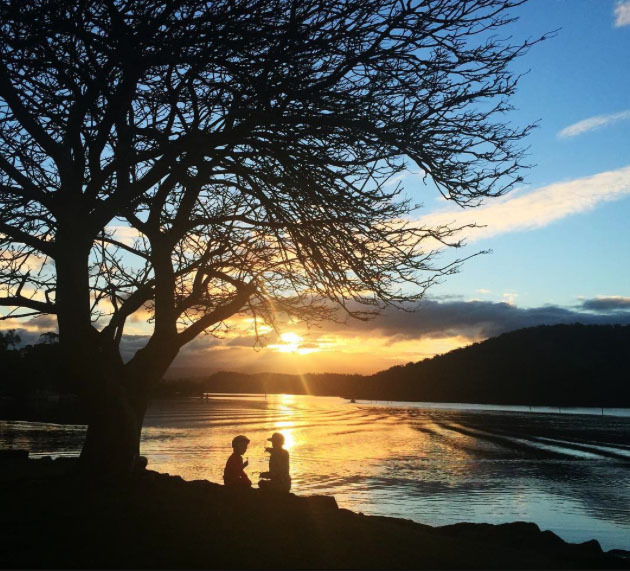 Bordering the National Park, but still on the beach, are two privately run campsites. Durras Lake North Caravan Park is nestled between the lake and the beach and is pet-friendly. NRMA Murramarang Beachfront Holiday Resort has all the creature comforts including a pool and poolside cocktail bar. Narooma has the conveniences of a good sized town – cafes, restaurants, supermarkets – while being surrounded by natural beauty and great swimming beaches. It is also abundant in wildlife, including the resident seals! The BIG4 Narooma Easts Caravan Park was voted the best place to stay by reviewers on Trip Advisor. It has a full range of facilities, sits beneath majestic pines, is on the waters edge of Wagonga Inlet and just a stroll from the beach. Surrounded by Eurobodalla National Park, Mystery Bay is a place where you can slip into the relaxed lifestyle of a castaway. Facilities are basic (pit toilets and cold showers) but it is on a beautiful beach surrounded by spotted gums, acacia and banksia trees, with spectacular views to Montague Island. 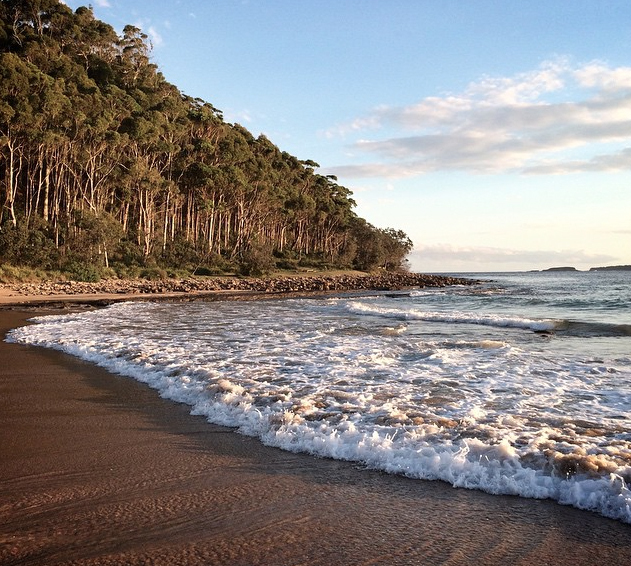 There are three beach front campsites at Mimosa Rocks National Park suitable for camper vans. All sites are set in shady untamed bush with toilets, BBQs, picnic tables and campfire rings, but no showers. 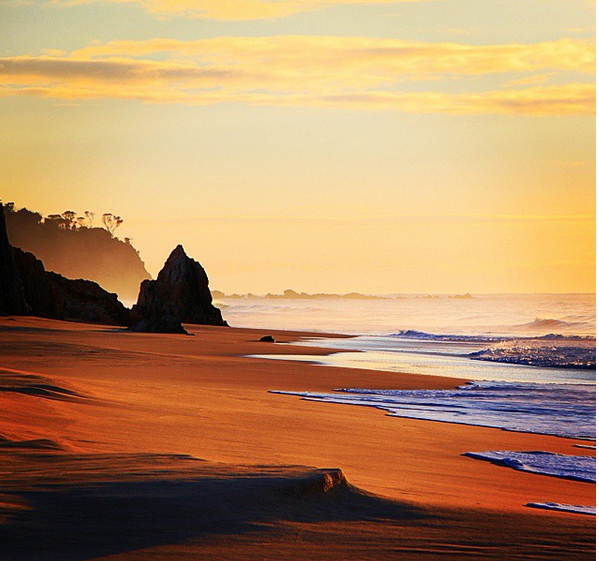 Wake up to the sun rising over the ocean! 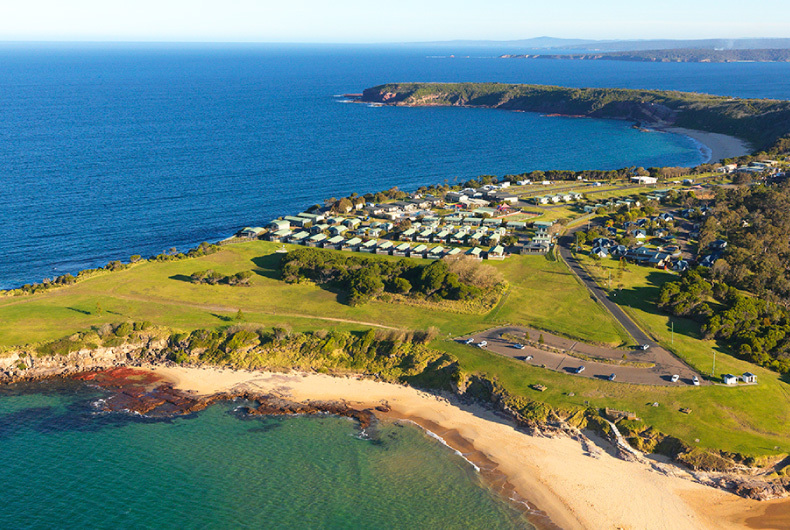 Tathra Beachside is a pet-friendly and family-friendly caravan park on the beach with wood-fired pizza nights and a long list of facilities. It is near 50 km of bicycle paths between two stunning national parks. The NRMA beachfront campsite in Merimbula has a heated resort style pool, cafe, and lots of fun things for the kids. But the real drawcard – it is perched on a headland with commanding views of the coast. Merimbula Beach Resort and Caravan Park. The Sapphire Sun Eco Holiday Village in Eden is a privately run caravan park with full facilities. It scores more than four stars Trip Advisor from people who have stayed here. The BBQs have panoramic views over the cove so you can watch dolphins and whales play while you eat. Eden. Photo: Sapphire Sun Eco Holiday Village. At the south end of New South Wales, bordering Victoria is the Ben Boyd National Park. It has two campgrounds. 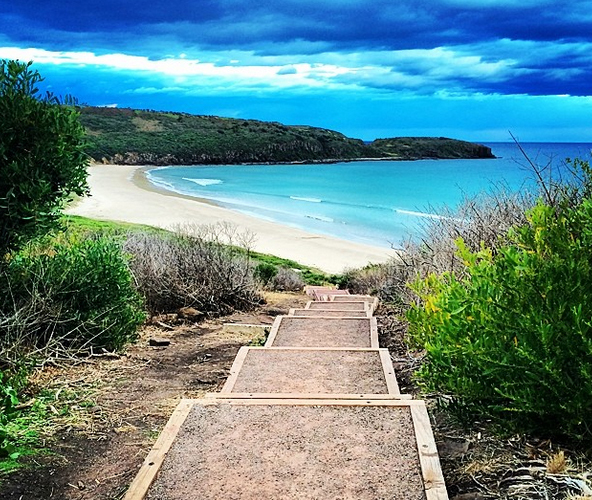 Bittangabee Campground is on the beach and has toilets, free gas BBQs and picnic tables. Rates: $23 per night for two people. Saltwater Creek campground, a stroll from the beach, is tucked away in the middle of the park with toilets, free undercover gas BBQs and picnic tables. Rates: $20 per night for two people. Below I’ve mapped every campsite. Click on the dot to bring up a link to its blog or read on for an overview of the complete list. If you’re thinking of renting a campervan in Australia, read this price comparison of cheap campervan hire in Australia. It’s surprising how much creeping fees can add to the original price of some quotes while other quotes are all-inclusive. Thanks so much for sharing this! Every location looks to be amazing in it’s own right! I’m wondering if someone could recommend which places to stay for a 6/7 night journey starting in Melbourne and ending in Sydney this coming April?